Our Peanut Caramel Chocolate Salami! 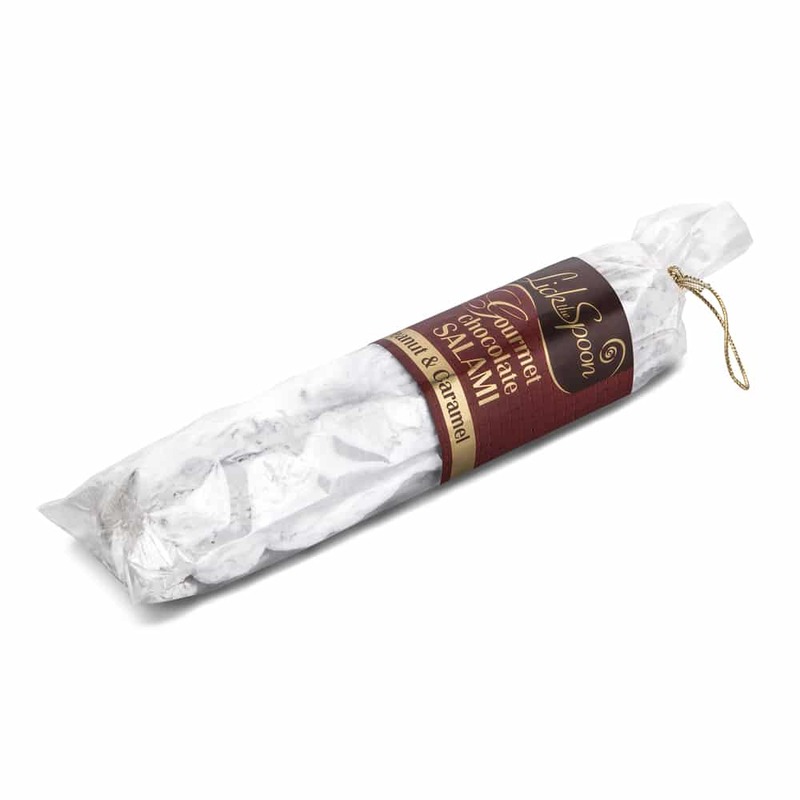 Following the success of our Gold award winning Classic Chocolate Salami we introduced a delicious Peanut Caramel version. Great Taste Gold Award winner 2016! It has no actual Salami in it! It’s a deliciously moist recipe made with chocolate and a rich Peanut caramel centre! The peanut version is alcohol free and enrobed in single origin 45% cocoa milk chocolate. Perfect for serving after dinner with coffee! Great Taste Gold Award 2016. Milk Chocolate min 45% cocoa solids, 19% milk solids. Unfortunately (and much to our frustration) we have not yet been able to source biodegradeable bags for our chocolate salami – though we continue to look! The bags are polypropylene. It is possible to recycle them through plastic film or carrier bag recycling points. The large white bubbles we use are made from recycled potato peelings and are home compostable. They are not plastic and shouldn’t be put in plastic recycling.